Dwayne grew up in a Christian home in Vestal, New York and was saved at Lake Arrowhead Bible Conference when he was 12 years old. During high school he was active in Bible club and Youth for Christ where he met Carolyn, who became his wife in 1963. From 1960 to 1963, Dwayne attended Practical Bible Training School in Johnson City, New York. He then went on to LeTourneau College in Longview, Texas to pursue missionary aviation. Dwayne received a Bachelor of Arts degree from Alaska Bible College in 1980 and a Master’s in Intercultural Studies from Columbia Biblical Seminary in 1997. Practical Bible College recognized Dwayne as Alumni of the Year in 2000. He received the same recognition from LeTourneau University in 2004. He also holds an honorary doctorate from Davis Bible College (formerly Practical Bible College). In 1970, SEND International accepted Dwayne and Carolyn, as missionaries to Alaska. They ministered as church planters in the villages of Tok, Bettles, Tetlin, Tanacross, Anaktuvik Pass, and Allakaket. After beginning the aviation program, he also functioned as Chief Pilot for SEND at various times. 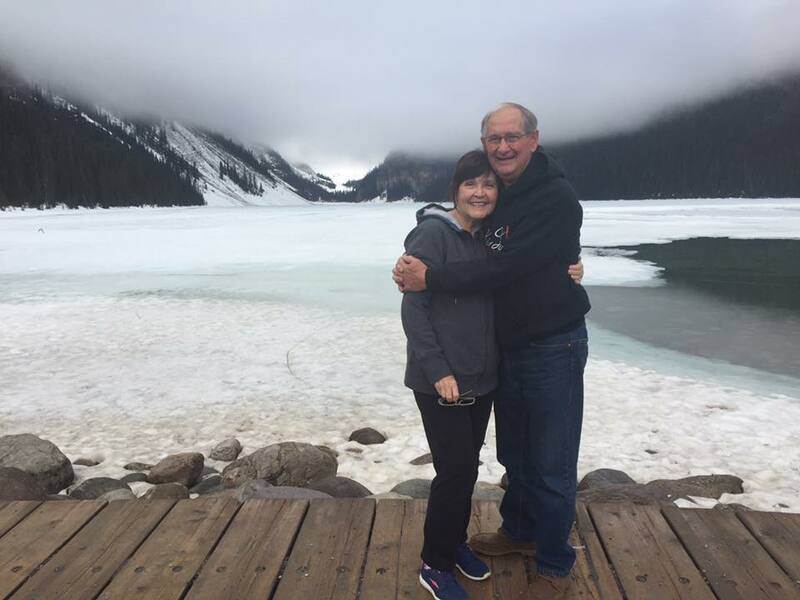 From 1986 to 1991, Dwayne served as Director of Development for Alaska Bible College and did medivac flying for Cross Road Medical Center, as well as ministering in the villages of the Copper River Basin. In 1991, Dwayne made one of the first missionary airplane flights to Provideniya, Far East Russia and made 14 other flights in subsequent years. He and Carolyn moved to Khabarovsk, Russia to work with the Russian Baptist Church in October 1993 and remained there until March 1999. As field superintendent for SEND Far East Russia, working directly under the leadership of the Russian Baptist Church, Dwayne and Carolyn helped start and build new churches, train new leaders through Far East Russia Bible College, and recruit construction teams, teachers and new missionaries. In October 1999, they moved back to the States where Dwayne served as Co-Eurasia Regional Director until 2003. He then served in the SEND International Office as the Regional Director for Eurasia Advancement. In 2008 Dwayne & Carolyn retired from full-time service with SEND Int’l to special assignment. In this role, Dwayne continues to support the work being done by SEND throughout Russia, Ukraine, Central Siberia, Far East Russia, and Kazakhstan. Dwayne founded Kingdom Air Corps in 1999 with a purpose and a passion to train pilots and aviation mechanics to use airplanes to deliver the gospel to the remote places in the world unreachable by road. Carolyn faithfully worked with Dwayne in the founding and growth of Kingdom Air Corps until her death in October 2016. Currently, 10 full time missionaries are serving in Alaska, Russia, and Thailand with a view toward expansion into India and the middle east. Students come from across the United States, including a large group from LeTourneau University’s aviation program, as well as international students who train at Kingdom Air Corps, then return to their own countries to serve the Lord as missionary pilots. Dwayne has flown more than 20,000 hours and is a commercial, instrument and multi-engine rated pilot. He also holds an airframe & power plant rating with inspection authorization. Most of his flight time has been in Alaska and Far East Russia. Kathy’s story is quite different. In 1974, between her third and fourth year of college, she and a girlfriend, along with her husky dog, hitchhiked from Los Angeles to Alaska. Her girlfriend went home after a couple of weeks but Kathy stayed to experience an Alaskan winter. By December, Kathy’s hippie lifestyle reaped tragic results and she began to earnestly seek the Lord, finally daring to sneak into a chapel under the cover of darkness at 30 below zero in search of a Bible. She found one on a bookshelf in the church lobby, as well as a book she’d heard much about: Hal Lindsey’s, The Late Great Planet Earth. She wrote a check for the books, put it on the pulpit and left the church quickly, before anyone had seen her. Lindsey’s book led her to a clear understanding of the gospel and, alone in her room on New Year’s Eve, 1974, she asked Jesus to be her Lord and Savior. When the pastor of the small chapel found her check, he searched for her in town, found her and introduced himself as Dwayne King. And, so began a lifelong friendship between Kathy and the Kings. They taught and encouraged her in her new faith, and urged her to attend Alaska Bible College. She took their advice and there she met and married Ray Dondzila in August 1977. They moved to the east coast soon after the wedding and over the next six years, the Lord blessed them with five fabulous children. She lost touch with the Kings while they served in Far East Russia and arctic Alaska. In 1989, Kathy went to work for the Aircraft Owners and Pilots Association (AOPA) as a writer and editor, and continued in various roles for nearly 30 years before retiring in 2019. She earned her private pilot license in 1991 and an instrument rating soon after. She holds two Masters degrees: A Master of Business Administration, and a Master of Fine Arts in Creative Writing. In 2004, Dwayne called AOPA with a question and Kathy, overhearing the call, was able to reconnect with the Kings. Ray died in July 2005, and as Kathy refocused her life, she became involved in the ministry of Kingdom Air Corps. By November 2017, the Lord was speaking to both Kathy and Dwayne about his plan for them and they talked and prayed earnestly about his will and direction, deciding to marry in April 2018.